LS to Teach Light Doctrine @ Landmark 2011???? The D.A. 's Office The views expressed in this forum are those of the author and do not necessarily represent the views of AFF or the Admin of AFF. Re: LS to Teach Light Doctrine @ Landmark 2011???? This is a One God, Holy Ghost Filled, Tongue Talkin', Jesus Name podcast where it's all in Him! Apostolic Truth! 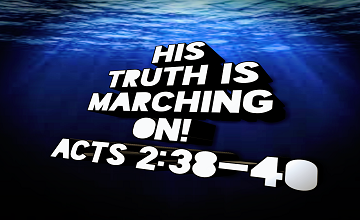 His Truth Is Marching On! don't make me read this whole thread, someone please tell me if he does teach light doctrine. Righteous, who walked in the light they knew, inherit the earth. The Holy go to heaven. Pass me some Q-tips. Did he just make allowance to those who did not obey Acts 2:38 ... even a Trinnie granted eternal life? Sent a request to UPCI HQ asking for the UPCI position on the Light Doctrine. """The UPCI has not taken an official position on that doctrine, but our manual does state that "the basic and fundamental doctrine of this organization shall be the Bible standard of full salvation, which is repentance, baptism in water by immersion in the name of the Lord Jesus Christ for the remission of sins, and the baptism of the Holy Ghost with the initial sign of speaking with other tongues as the Spirit gives utterance." Generally speaking, the large majority of UPCI ministers would not believe and teach the "light doctrine." The UPCI certainly believes that all Christians should follow the pattern of the New Testament church and be baptized in the name of Jesus Christ and receive the Holy Spirit with the initial sign of speaking in tongues. However, God is the ultimate judge who will determine matters of eternal destiny. We are not called to judge whether individuals are destined for Heaven or Hell, but rather to obey the gospel by grace through faith and encourage others to do the same.""" It appears, at least in the videos above, he did teach a version of the Light Doctrine. I don't know much about the UPCI other than my local church, I had no idea.